From its once vaunted status as every Internet marketer’s favorite golden goose, social media’s had a tough go of it recently. 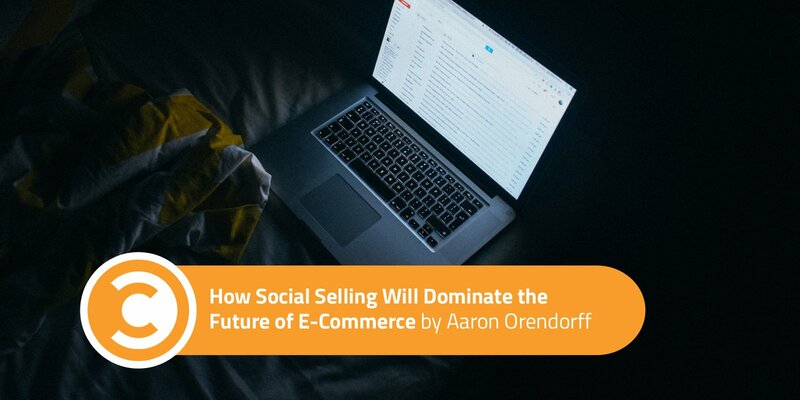 So why would you believe a headline that includes the phrases “Social Selling” and “Will Dominate the Future of E-commerce”? 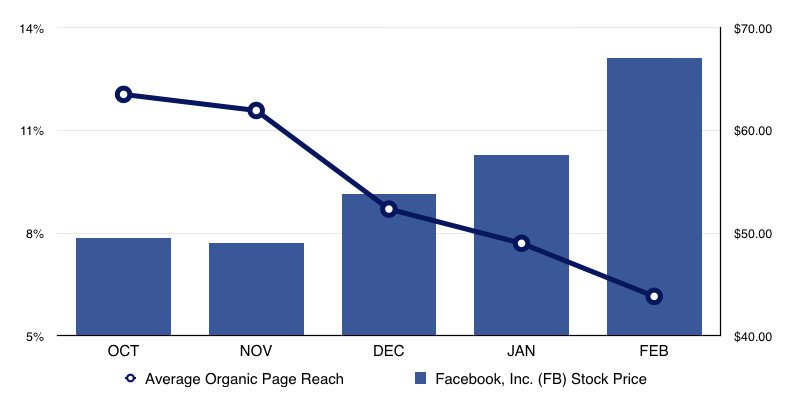 “As organic reach dropped from approximately 12% [in October of 2015] to 6% (and now often at 1%) [in February of 2016], Facebook’s stock price moved from nearly $50 to nearly $70, adding billions of dollars in market capitalization. In other words, social media is banking on the dominance of social selling and could basically care less how your company’s non-paid, organic efforts suffer as a result. Those numbers are why Facebook, Twitter, and Pinterest have not only invested heavily in creating robust advertising features but native shops and “buy now” options as well that allow users to purchase products without ever leaving their favorite platform. However, going native doesn’t mean simply setting up shop on across the social media spectrum and just dumping in your site’s existing products and content. Instead, it’s vital to understand the native options themselves and craft your approach based on the habits of those platforms. 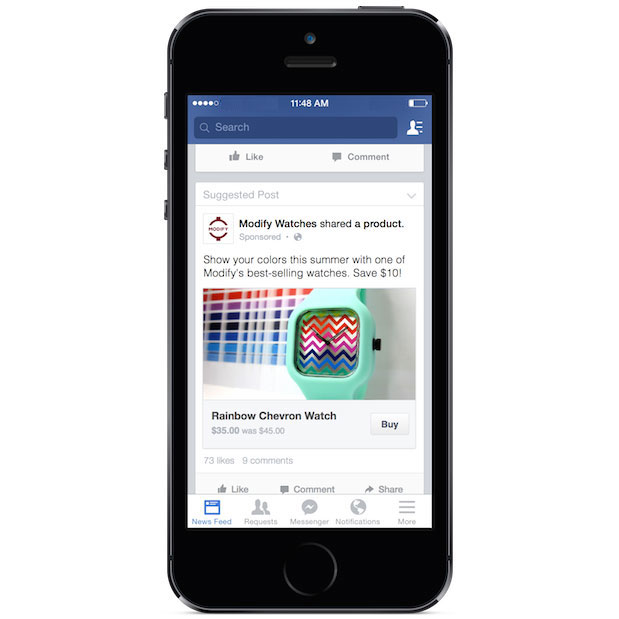 In July of 2014, Facebook announced a “New Way for People to Discover and Buy Products on Facebook” with the introduction of their first “Buy” call-to-action button. Since then, with the addition of “Shop” tabs, research indicates that selling on Facebook produces an overall 5–10% lift in revenue. 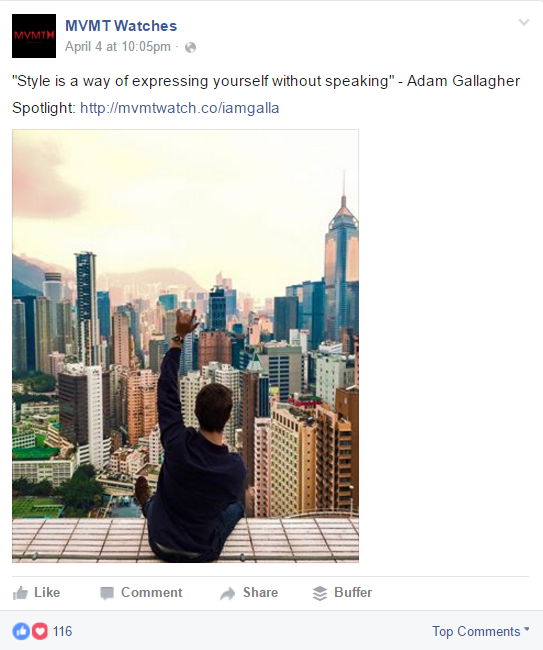 When it comes to your own social selling, three lessons stand out. Second, forego the temptation to simply upload your inventory in bulk. Instead, make Facebook—just like the other platforms—an exclusive experience. 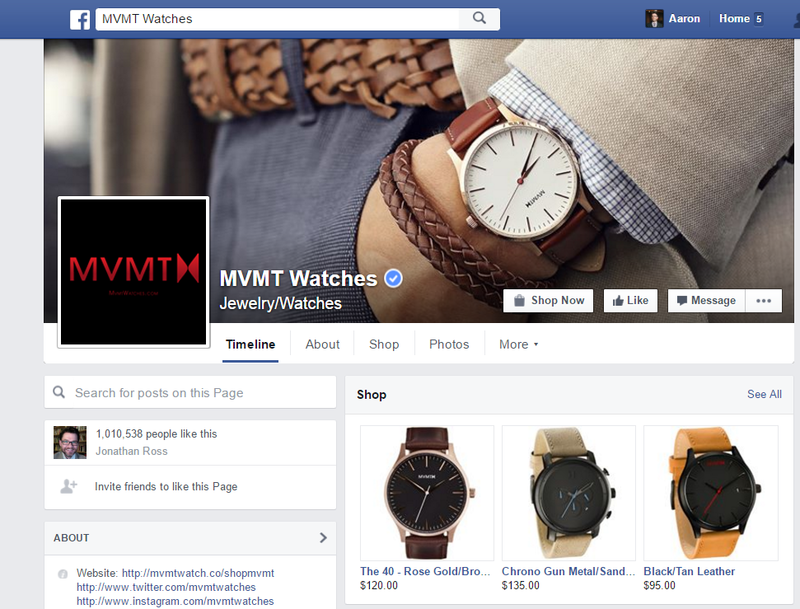 Share new items on Facebook before listing them elsewhere. Offer flash sales that can only fans can access. Or even get rid of old inventory by offering it for a special low price that is (again) exclusive to your Facebook audience. Third, keep it natural. The whole point of social is to be social. Build relationships by sharing “inside jokes” and promoting causes. Encourage your fans to share their own everyday experiences and not merely product reviews. 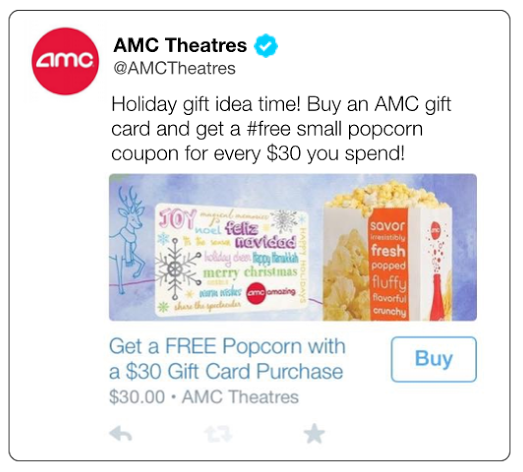 As with Facebook, Twitter’s “Buy” button enables advertisers to share specific products in promoted posts and allows users to make purchases by simply clicking. With payment information and address details stored on Twitter, they never even have to leave their feed. Facebook may be great for long-term relationship building and customer loyalty, but Twitter is almost exactly the opposite. With the opportunity to have your message spread quickly and seen by millions in an extremely short timespan, it’s perfect for brands wanting to capitalize on real time events and trending topics. Want proof? When the Golden State Warriors won the NBA championship, they advertised $35 commemorative t-shirts to their fans using the Twitter buy button. The resulting avalanche made an estimated $125,000 in merchandise sales from just one tweet. Naturally, moving that kind of product with a single tweet is exceptional, but that doesn’t mean you can’t apply similar lessons to your own Twitter strategy. For example, while some trending topics on Twitter are unpredictable, the vast majority aren’t. By focusing on highly-discussed real time events—like holidays, award ceremonies, news items, and (of course) sporting events—you can use keyword targeting to join in. In that same vein, creating a mix of live tweets at conferences as well as showcasing relevant products to that specific audience is a powerful one-two punch. Even better, if your brand hosts its own Twitter Chats, or if you yourself are already an active member of one, you can piggyback “Buy Now” promoted tweets onto them as well. Twitter also offers a host of insanely detailed targeting features to reach out beyond your own followers using other relevant accounts, behavior, spending habits, geography, interests, and devices types. 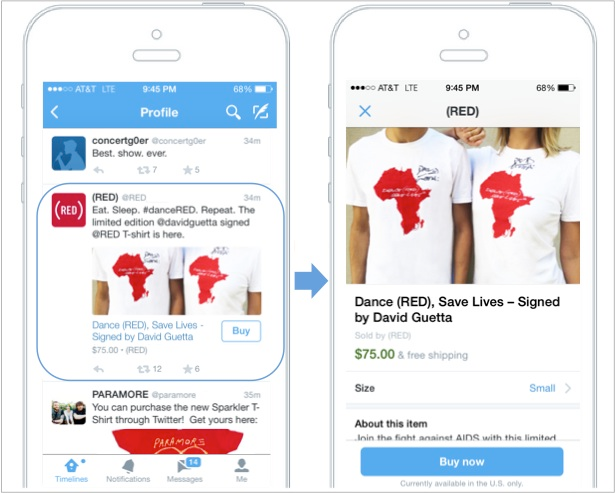 Equally powerful are the retargeting options Twitter offers. In fact, given that a mere 2–4% of website visitors complete purchases, retargeting via social—as long as you “retarget only after identifying user intent” and “limit frequency”—to enable instant purchases is quickly becoming less of an advanced digital hat trick and more of a business necessity. Lastly, don’t overlook the obvious: being genuinely social. While not explicitly using the native buy buttons, Starbucks generated $180,000 using their @Tweetacoffee promotion. AMC Theaters followed suit. 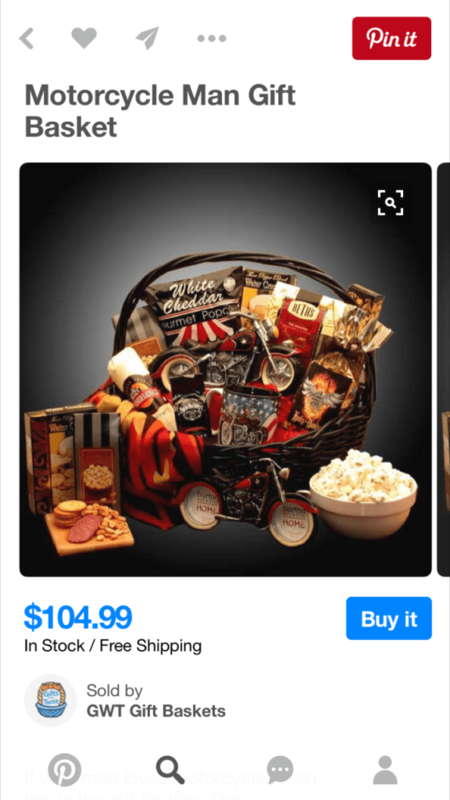 integrating the “Buy” button into their “gift-giving” campaign during the holiday season. What do both of these approaches have in common? They leverage natural buying patterns and major human relationships. If there’s ever a place to go wild with envy, it’s Pinterest. After seeing just how powerful the platform was in influencing purchases—it drives more traffic to websites than any other social network besides Facebook—it hopped into the native selling circle with Buyable Pins. Generally speaking, there are several reason Pinterest trumps the other platforms in selling potential. First, the half-life of a Pin (the time it takes to get 50% of its engagement) is 3.5 months, compared to 90 minutes for Facebook and 24 minutes for Twitter. Second, 80% of pins on Pinterest are repins, meaning they are shared from other users. This means that each Buyable Pin has the chance to reach a much wider audience. Third, Pinterest also reports that 90% of the buyers on its site are first-time buyers. If you’re looking to reach brand new people and influence first-time purchases, Pinterest is the place to be. 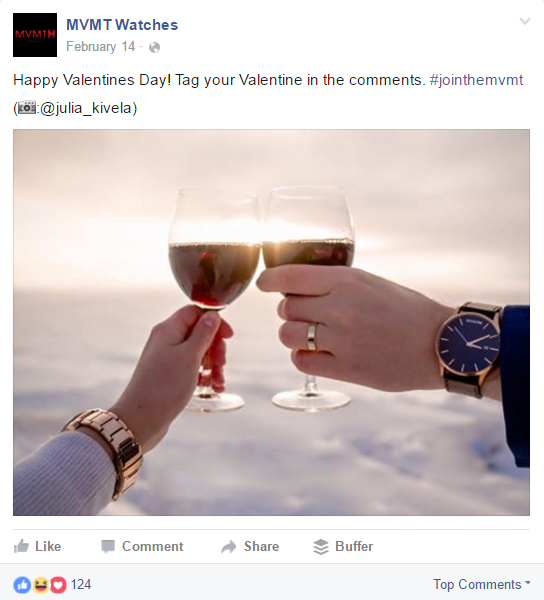 Pinterest holds a unique position even in the realm of social media platforms. 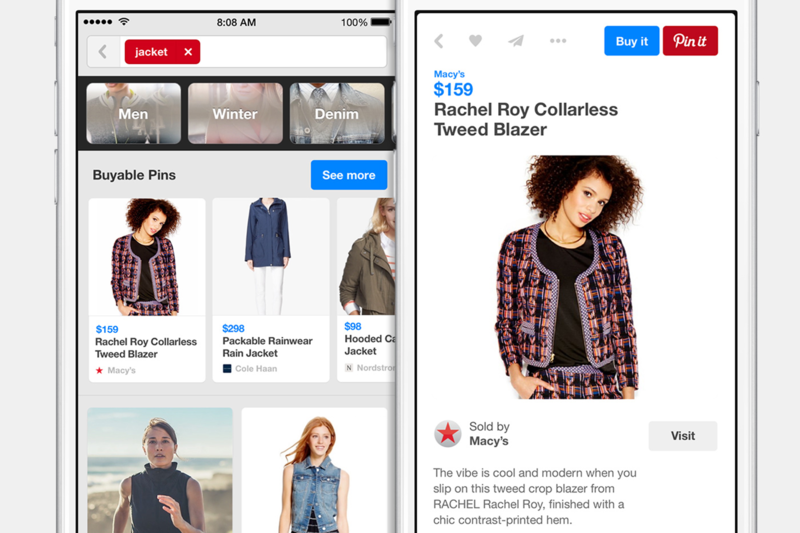 Rather than centering on personal connections, like the “big three,” Pinterest is more about connecting users with images they like, from arts and craft projects to new products from popular brands. 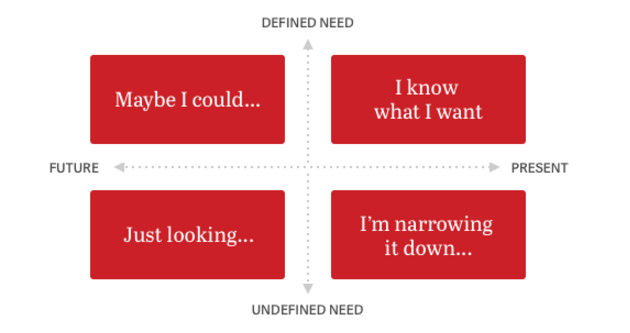 In this way, Pinterest serves as a giant “to do” list for the bulk of its users. Because users are already invested in these ideas, the jump to buying them is that much easier, presenting a perfect opportunity to capitalize. While all that makes Pinterest by far the most sales-friendly platform, it doesn’t mean you should overlook its own social dos and don’ts. Of course, you might think Pinterest is only suited to home goods, recipes, and fashion because it’s largest demographic is women, but don’t let that fool you. The male audience is the fastest growing demographic on the site, so don’t lock them out just yet. Whatever platform you prioritize—Facebook, Twitter, or Pinterest—it’s easy to see that native selling means the future of e-commerce will take place more and more outside of traditional websites. Giving users the ability to make purchases from within their favorite network means shortening the sales process from multiple steps—ad to product page to cart to check out—all down to a single click. It also means opening up additional revenue streams and remarketing opportunities. Just don’t forget: The one thing native selling means above all is actually going native. Aaron Orendorff is a regular contributor at Entrepreneur, Fast Company, Business Insider, Content Marketing Institute, Unbounce, and more. Grab his Ultimate Content Creation Checklist at iconiContent.com.